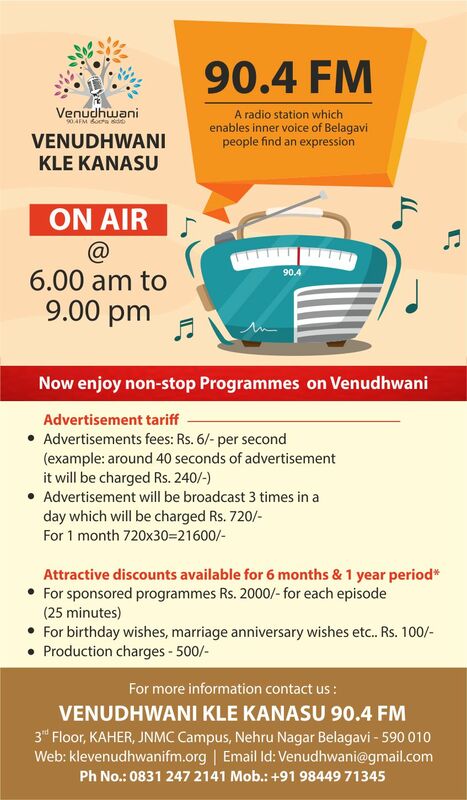 " Venudhwani: a KLE Initiative "
"Venudhwani" is 'community radio': a people's radio by the people and for the people. Though launched by KLE, it gives an open opportunity to all types of citizens and organizations to express their aspirations, pains and pleasures, achievements and problems. state of the art studio in JNMC campus you can participate as an active listener, artist, program producer, coordinator or a participant. It's your radio, it's your choice. 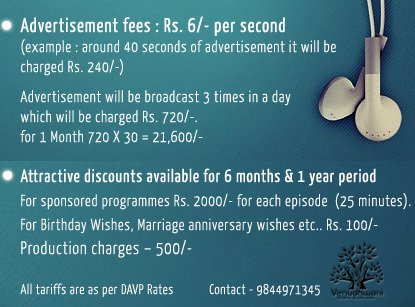 Advertisement will be broadcast 3 times in a day which will be charged Rs. 720/-.